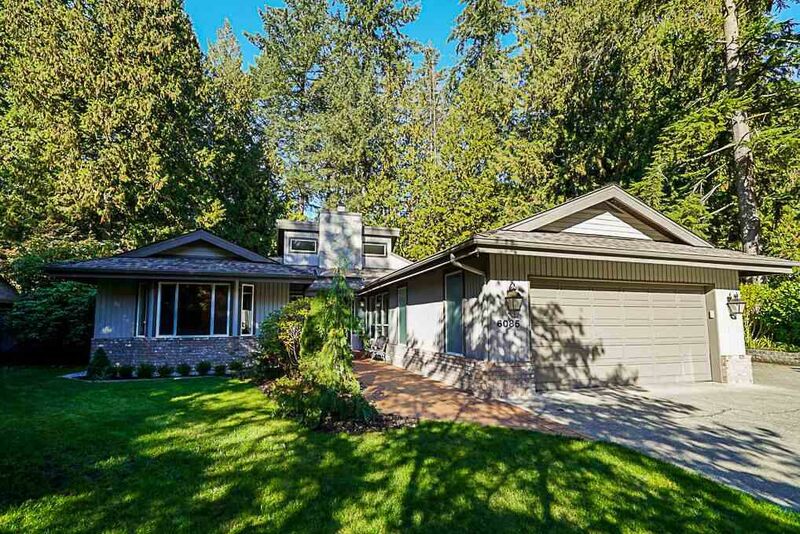 This beautifully updated rancher sits on a stunning and private half acre cul-de-sac lot, backing onto raveen in picturesque Tall Timbers. Inside highlights include new wide plank engineered hardwood floors, new windows / doors, a brand new master en-suite, a brand new rec room, a new maple country kitchen/ w SS appliances, new fixtures throughout and gorgeous vaulted foyer w/ stone feature fireplace wall. The amazing yard features RV parking, 1500 sq ft of deck, hot tub, greenhouse, 2 playgrounds, fire pit storage shed and a zipline!! BC living at its finest, minutes from Murrayville and Highway 1. A very rare and unique property! !